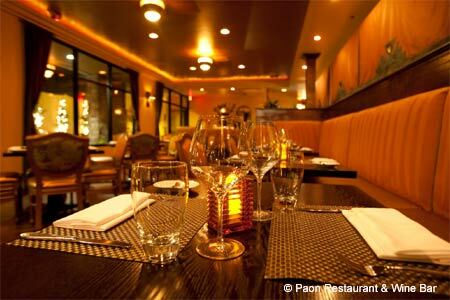 Enjoy Cal-French cuisine and an expansive wine list in this brasserie wine bar. : Chef David Gallardo delivers a variety of dining experiences at this little gem in Carlsbad. Patrons can sidle up to the brasserie-style bar for an Angus burger with Stilton, yellowfin tartare, Carlsbad Aquafarm oysters or artisan cheese plate while perusing the extensive wines-by-the-glass list. Others may opt to sit on the patio next to the gurgling fountain for a leisurely wine-infused lunch of lightly smoked salmon salad with red beet vinaigrette, or duck confit with white bean cassoulet. Inside, well-heeled diners mix easily with families and surfers in the Art Deco setting while enjoying truffle ravioli, veal sweetbreads with smoked pancetta and Gallardo's signature pan-roasted pheasant with its crisp skin and Madeira sauce. In the back, guests will find the tasting room, packed with bottles and enthusiastic oenophiles. Guest winemakers appear weekly, making it a social hub for the community.